Belava has designed a new generation of multi treatment chairs for the Salon & Spa industry. 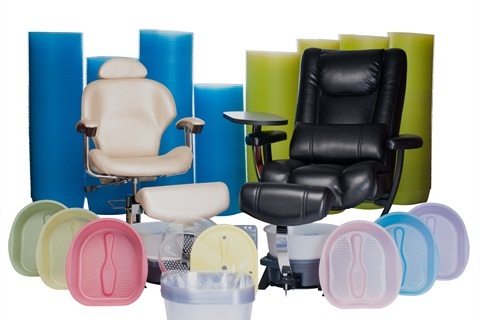 These chairs are so versatile they can be used to perform multiple services such as facials, eyelash tinting, threading, waxing, injectables, make up, manicures, “no plumbing” pedicures & so much more, all without moving the client. All Belava chairs include a matching technician’s stool and our award winning Pedicure System. Perfect for the beauty industry professional who wants to increase their productivity & profitability with just one piece of equipment in one treatment space. We at Belava, stand proudly behind our products, which are manufactured in the USA, and strive for 100% customer satisfaction. Feel free to contact us as we welcome the opportunity to hear your feedback and discuss our products with you.